SHREDDERS There are 11 products. 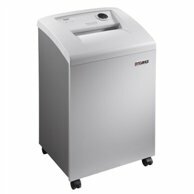 A very efficient personal cross-cut shredder. 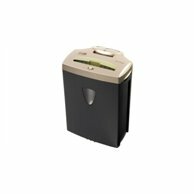 It cuts paper into shreds size: 4x40mm, achieving the 4rd DIN security level. 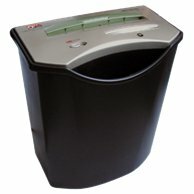 It can also shred credit cards! A very efficient personal shredder. Special cross-cut system ensures DIN 66399 4th grade level and less shreds. 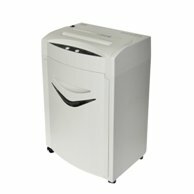 Convenient slot for shredding credit cards and CDs. 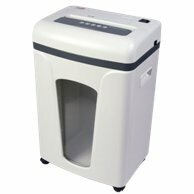 A very efficient personal cross-cut shredder. It cuts paper into shreds size: 4 x 35 mm, achieving the 4rd DIN security level. 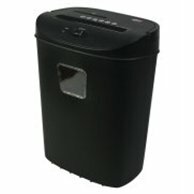 It can also shred credit cards! 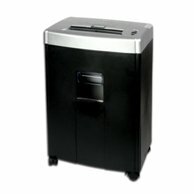 Heavy-duty 12 sheet CD Combo cross-cut shredder with credit card slot and pull-down CD tray. Ideal for office use. Shreds also credit cards, clips and staples. The universal cross-cut shredder. Ideal for medium offices. The universal, cross-cut shredder. Ideal for medium and big offices. 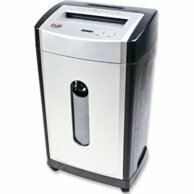 It has special feed to shredding CDs and credit cards. 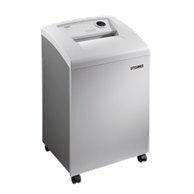 The universal, cross-cut shredder. Ideal for medium and big offices. 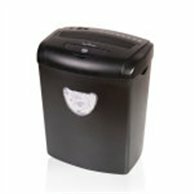 It has special feed to shredding CDs, credit cards and floppy discs.